Beautiiful guitar music, either quiet background for your reception, or as part of the event, weddings or dinners. 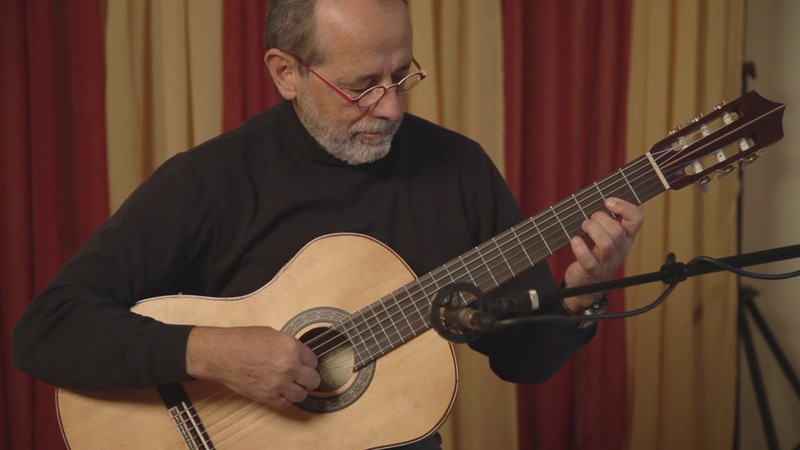 I play a variety of styles from classical, folk, flamenco, latin, blues or standards. I also have an excellent acoustic bass player who can join me. I think my specialty, is that I am able to adapt to the event. Miguel created some of the best moments of our wedding! Miguel's beautiful music created some of the most memorable moments of our wedding. He did it all - played beautiful background music, mostly classical, as our family and friends gathered for the ceremony. He then launched into his own special version of Light My Fire for the processional followed by a moving rendition of And I Love Her that brought tears to our eyes. Finally, he played a rousing arrangement of Mustang Sally for the recessional that had us dancing! He did this with hardly any effort on our part. We met with him once to talk about what we wanted and he did the rest. We love Miguel! Miguel Perez-Gibson and his son Daniel Perez-Gibson were hired to play our Open House event celebrating UW Neighborhood Clinic's new primary care clinic in Olympia. I cannot recommend them more highly if you are looking for music to create a calm and celebratory atmosphere for your event. I left it to Miguel to select the music he felt was appropriate and his selections were spot on: It was beautiful, and at the same time calm and energetic. I heard over and over from the staff and guests how much they enjoyed the music. They were also quite flexible in that we also had the Husky Pep Band playing sets outside, so they were trading the spotlight back and forth. During one of Miguel and Daniel's sets they invited the Pep Band's trombone section to jam with them and that was truly a highlight! Both Miguel and Daniel are easy to work with, were engaged with the audience, and very skilled musicians. Their music added just the right flair for our event. Miguel and his son were absolutely the perfect choice for a friend’s celebration of life. Their entire contribution from the time they arrived to departure was exemplary and professional. The music choice and their talented performance were exceptional. When future events require music, our first choice will always be Mr. Miguel Perez-Gibson and his son. Generous, chill, talented pro. Book this man. My wife and I don't always have the same taste in music, though it's very important to us both. When it came time to get hitched at Kiana Lodge, we scrambled to find someone we both loved to play the ceremony. With time running short, we rolled the dice on Miguel. It was one of the best decisions we made. 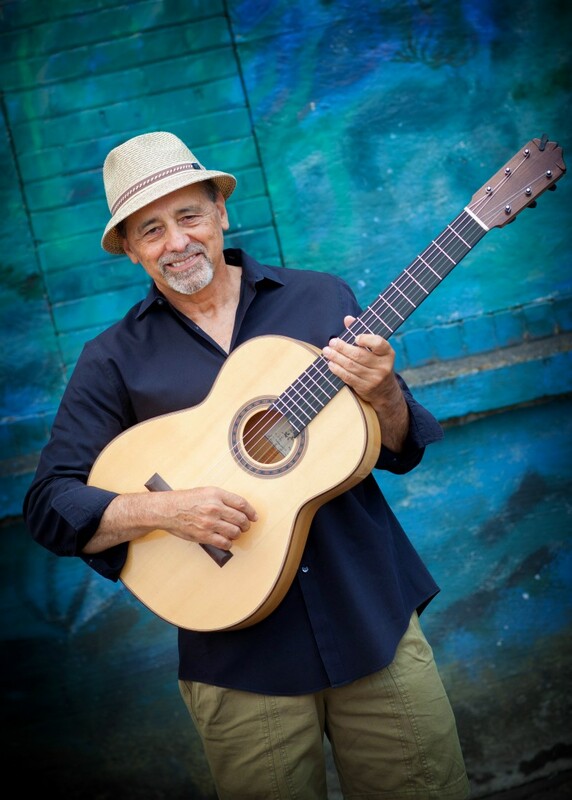 Miguel was a consummate professional who managed to balance technical mastery on the guitar with charisma, warmth, and flexibility with our schedule. The music was perfect. The man is a great addition to any party. We really enjoyed Miguel's music. It was varied and gave our reception a beautiful atmosphere. We contacted Miguel just seven days before our event. Our original entertainment had fallen through and we were feeling desperate. Miguel will be our first choice from now on! He was a consummate professional. He was on time, ready to play and very reasonably priced. But the most important thing is that he is an amazingly talented musician. We could not be happier with our experience with Miguel and I hope to have the opportunity to work with him again in the future. I too had the pleasure to experience Miguel's talent at the Bordeaux wine dinner. His style and attention to his craft is a sure pleasure for anyone looking to have that added touch to their occassion. Thank you for being so passionate about your art! Cheers!! 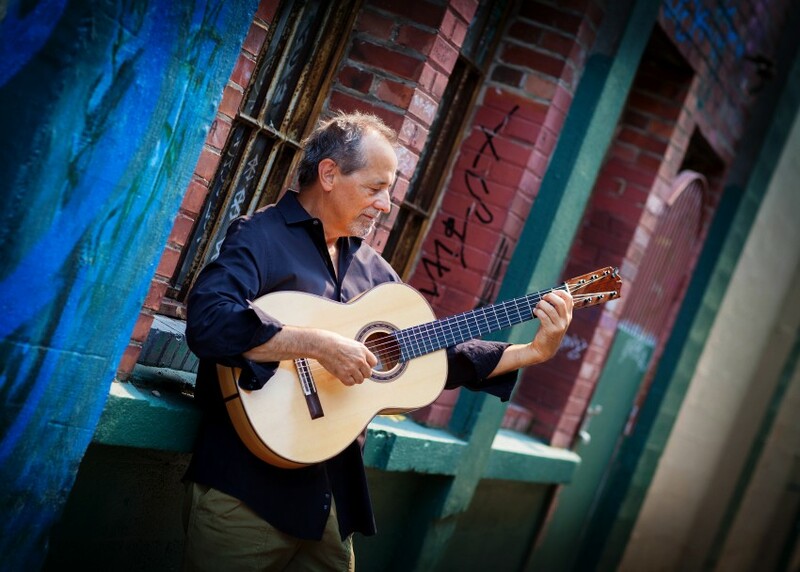 Miguel played exceptional classical guitar as part of a special dinner celebrating the great wines of Bordeaux, hosted by Waterstreet Café in collaboration with Grand Vin Wine Merchants. Miguel played beautifully for our guests. Looking back, we cannot imagine the dinner without him. His musical selections were exactly what we had hoped for, and he skilfully integrated his playing into the dinner program. We feel privileged to have enjoyed Miguel's beautiful music as part of our event. We certainly will ask Miguel back to play for us again, and we highly recommend him to any organization or group of friends who would like wonderful music to brighten a special occasion. Miguel will know how to adapt to your event by playing a variety of different instruments and styles. He has a good ear and his professionalism is not hard to see after you listen to him. His repertoire is very extensive and can entertain you for hours. I have a number of different musical options I can provide. 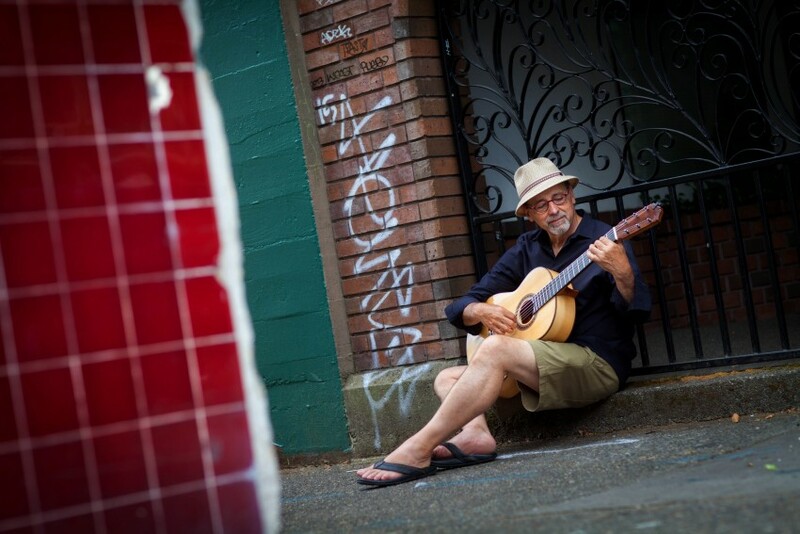 I play solo guitar, and can bring different styles, from classical, flamenco, folk and blues. I also have a trio where we play soft latin infused background music. Finally, a latin band with 7 members where we specialize in playing for weddings, dances, parties, and events. I can put together a list of agreements for services.